It looks like something that would have me crawling back in bed too. Jai and Annalisa - I am so embarrassed! Yes, I meant to write hail. The cold has done something to my brain. Sorry about the confusion. 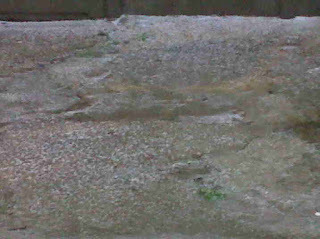 Oh my goodness, that is a lot of hail. Only once I remember so much hail that we had to shovel it from the sidewalks and hours later, it was still piled up in shady corners. That much hail is very unusual, too. Hail! 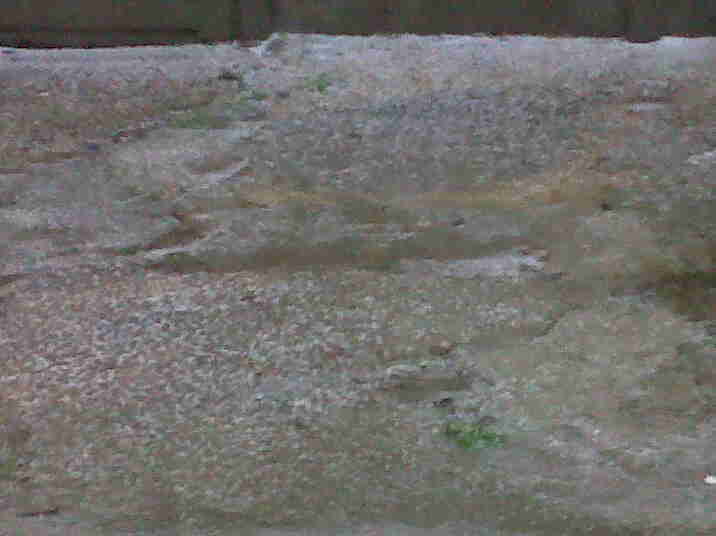 I thought you meant hail, but I blew up the picture and it did not look like any hail I'd ever seen. Ugh! I'd really go back to bed. That looks terrible. Annalisa - If I was smart, I would have used that as an excuse. Thanks for pointing out the mistake though. Manzanita - It was a great sight to see, even though the amount of hail freaked me out at first. Jai - I stayed in my room with the heater on. It was just too cold. The cold did something to my brain and after I realized the spelling error I was just horrified. How could I misspell hail? Yeah, going back to bed is probably an idea. lol. So does it make everything slippery there, or does it melt quickly? Tanya - It all disappeared after a few minutes. But I went back to bed regardless.